Leave a lasting first impression with Nokk’s bespoke reception desks. 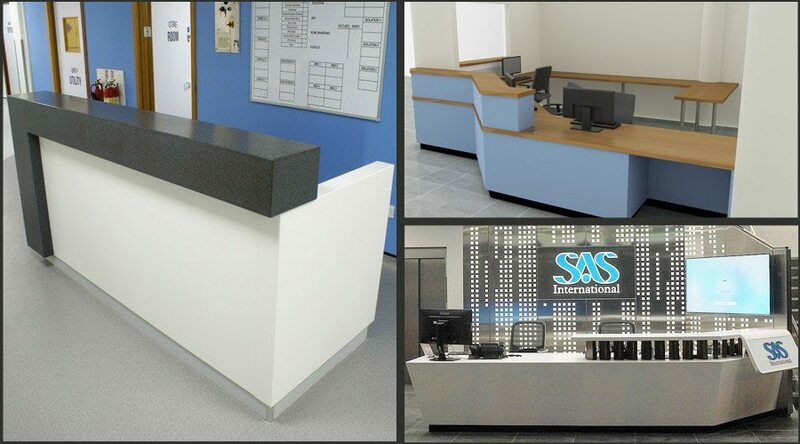 Inspiring reception desks available in a range of styles, including Corian & Tristone worktops. Manufactured to suit your project’s unique style & required functionality. Nokk are able to create a reception desk bespoke to suit your workplace’s colours, textures & existing furniture; resulting in a seamless & striking design. Any necessary functionality can also be added, such as quantity of plug sockets or material requirements. With over 25 years manufacturing experience, we are able to create a vast range of styles & functionalities. Corian & Tristone are perfect for creating a high-end finish for your desk. The natural appearance of these materials are perfect for contemporary rooms. Additionally, these materials are durable & provide longevity. 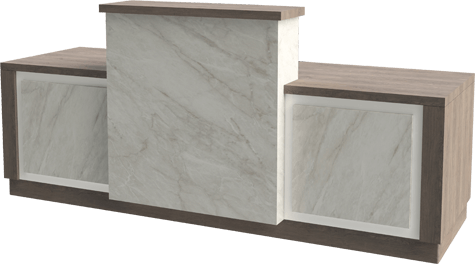 You’ll be automatically emailed several brochures with various materials, colours & texture options for your reception desk. One of our team will be in touch to send over any additional information you require.